Every house has a history as well as the signature of its current occupant. Artist AJ Atwater’s home was built in 1888 by one of Duluth’s influential, Frank Crassweller, an attorney who was active in the city council, the library board, Commercial Club of Duluth, Duluth Curling and the Masonic order. He and his wife Alison shared this Lakeside home for many a year, with its wide baseboards and narrow hardwood floors. The current resident is a painter and writer who seems to be in her prime and riding the wave. As I entered, I noticed that the first room to the left was completely bare except for an easel in the center where a dining room table might otherwise reside, along with a small table with paints and art supplies. “I’m a minimalist,” Atwater explained. The other downstairs rooms had no clutter, seemed to be placeholders for her paintings, some quite large and colorful, others muted. One piece reminded me of Arshile Gorky, another of Spanish painter Pere Salinas; all of it captivating. The original purpose of my visit was to interview this Duluth-based New York City abstract landscape painter for the Reader. What I learned is that the house itself has stories to tell as well. For example, Sinclair Lewis used to come to the Crasswellers to play chess when he was living in Duluth for a time. What I also learned is that Atwater has an exciting project coming up during the month of July called PROJECT 30/30: Artist at Work on the 200 Block, Superior Street Downtown Duluth. This latter is why I'm posting this today and not waiting two weeks for the Reader. PROJECT 30/30 begins tomorrow, hence the timing of this blog entry. 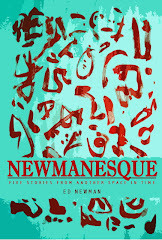 In addition to being an artist Atwater is also a writer of literary fiction. Much of her work is online and has been printed at small presses. She currently has a novel which is just about set to go to an agent. The novel "is about a woman with eleven sons called Lisa’s sons." Her two passions, writing and painting, contend for her time. "Painting has pulled ahead but writing is also competing." She has no lack of energy for her work. I first became aware of AJ Atwater through a recent show at the Washington Gallery downtown called Urban Nightscapes. Her abstract paintings energized the room, and perhaps one should not have been surprised as her work was about the vibrancy of New York City at night. But not the way you might expect. We talked about New York and the art scene there. We talked about the business of making art. We talked about her favorite artists, many of them names we've both appreciated from the New York School. We talked about her teacher there, Ronnie Lanfield. And then we talked about her upcoming project. PROJECT 30/30 is essentially thirty days of painting, in public at Perry Framing, with the aim of having 30 finished pieces when done, 30 canvases for 30 days, all 30” x 30”. The description of the project forced on me a question: Why thirty days when July has 31? Atwater laughed. On the 31st she'll have an art opening at Perry Framing… a showing at the end of the 30 days. Ah! Atwater will be painting daily from 11 a.m. to 2 p.m. and during special Downtown events. The project was a brainchild of both Atwater and gallery owner Penny Perry. The showing will be at Perry Framing on July 31st from 5-7 p.m., so mark your calendars. I just marked mine and aim to be there. During Duluth’s Dylan Days in 2012 there was a panel discussion at Tycoons in which Dylan’s significance was explored. It’s a topic of recurring interest for me because from time to time in my readings there is a trigger that unlocks another room full of ideas to examine and analyze, to hold up to the light to see if they have any substance to them. My current stimulant has been Lee Marshall’s Bob Dylan: The Never Ending Star. The new idea, which I had not recognized before but seems to ring true as I consider it, is that “rock” A.D. (After Dylan) is not the same as the rock and roll that preceded Dylan’s emergence as a rock star. Before Dylan, rock ‘n roll was about making music you could dance to. When Dylan emerged from the constraints of folk, where he was unquestionably a star, he welded a new sensibility to this established music form. Here’s how Marshall explains it: Dylan is the foundational figure in rock culture. Dylan’s shift to electric music brought to the mainstream the political authority and communal links of his folk past while his song-writing skills offered the examplar of what could be achieved artistically within the new form. And it wasn't "going electric" that was the significant thing in and of itself. Elvis, Chuck Berry and a host of others had been there for some time, obviously. What's different is that although rock and roll was fun, Dylan brought to it a new seriousness, a new sensibility. As Marshall explains: Rock emerged in the mid-sixties as a was of stratifying mainstream musical consumption, as a means of creating higher and lower levels of popular music.... Rather than merely assuming a difference in quality between serious/classical music and light/popular music, rock functions to differentiate between serious, worthwhile popular music (rock) and trivial, lightweight popular music (pop). When Dylan went electric he served as the catalyst for the formation of this new type of music. But what was it that transformed the Beatles from cheery-faced mop-top boppers into the young men who really did, for a while, rule the world? And when? When you lay their careers side by side in a timeline, Dylan's achievements in 1965 reverberated everywhere. Bringing It All Back Home was released in March. In June he wrote and recorded "Like a Rolling Stone". In July he plugged in and went electric at the Newport Folk Festival, and in August released Highway 61 Revisited. Both of these latter events have been considered by some to be the pivot point of rock history. In 1965 the Beatles were still making love songs and foot-tappers. Everything they did climbed the pop charts like monkeys. Even in late fall they were still churning out songs like Kansas City/Hey Hey Hey Hey, Boys and Roll Over Beethoven. That year the movie Help, as a follow up to Hard Day's Night, placed them squarely in the center of a well established Hollywood pattern to capitalize on youth heroes for commercial gain, as they had done previously with Elvis. The Fab Four were definitely a sensation, but in a wholly other manner than Dylan. They were pop, but they were not hip. Hence, Marshall declares: "My argument is that Dylan was the first real Rock Star. His razor-sharp hipness in 1965 and the strung out excesses of 1966 laid down the prototype for his new social role. Some of the substance of Dylan’s new star-image was rooted in his public persona developed as a folk star but his image in 1965-6 is a clearly different type of star-image." One sentence on page 93 says it all: "In 1965, Bob Dylan was the coolest person on the planet." Today is Saturday, June 30. The Never Ending Tour will roll into town in nine days..... See you there. The countdown has begun. We're ten days away from Bob Dylan's return to Bayfront Park in his home town of Duluth, city on a hillside, where he was born and lived the first six years of his life. Does he remember the beach on Park Point, the Aerial Lift Bridge or the North Shore? Maybe not from that time, but growing up in Hibbing he was close enough to cruise down here when he got his driver's license. Saw Buddy Holly in the Armory here, among other things. So we're ten days away from another leg of the Never Ending Tour rolling in and the big buzz is already on. What songs will be on his set list that night? When I wrote about The Dylan Pool Wednesday, I made some predictions based on a scientific analysis of the previous several months, noting that night after breathless night nothing had changed as regards the band's play list. After a seven week layoff, the Americanarama tour has now launched, beginning in West Palm Beach. And guess what? A new playlist. What's more, the Tampa show at the Florida State Fairgrounds the next evening had some additional variety, with four different songs from the previous evening at the Cruzan Amphitheater. One thing that hasn't changed is Dylan's opener: Things Have Changed, which he has now sung over five hundred times in concert. Something else that hasn't changed is that Bill Pagel is still collecting and organizing all Bob's playlists, making them available online at BobLinks.com. For example, want to know what songs Dylan played at that July 3 concert with Paul Simon in Bayfront? What about his incredible 17 song set at the DECC in October the year before? As Lee Marshall and many others have noted, it's not what Dylan says but how he says it that has elevated him to cloud-walker and maintained his superstar status. Fifty years ago he predicted correctly that the times are changing. Is his selection of Things Have Changed as an opener his way of reminding us that he called it right? Or is he talking to the fans who got on the Slow Train with him back in his Gospel era? Is he baring his soul or is he being and jokerman? And finally, one other thing that hasn't changed: Dylan's ambiguity. Why he chooses this song and not that one for tomorrow's next stop is not going to be explained. Even if he did explain it my guess is it would be in a manner that makes you wonder if he means something different. Or maybe he really is being straight, but we simply won't believe it. 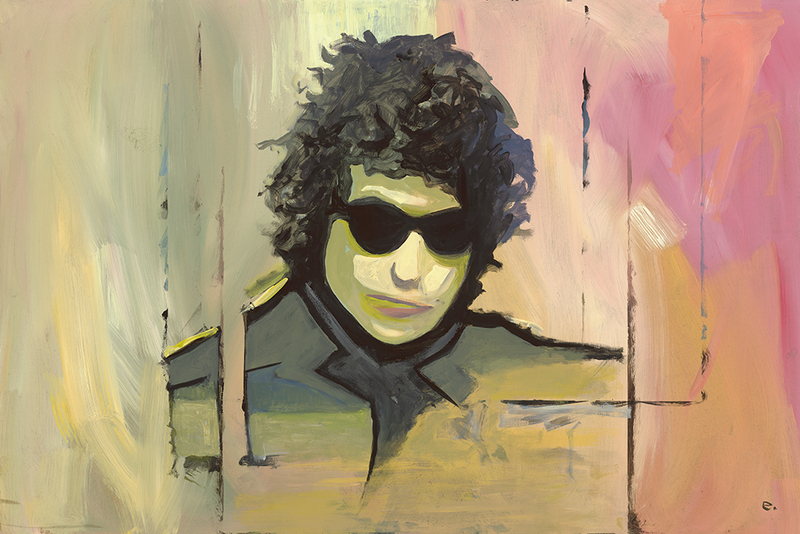 In the meantime, get your most up-to-the-minute Dylan news and information at ExpectingRain.com. Today's offering includes Patrick S. Pemberton's The tunes they are a-changin' and so are the play lists once again. 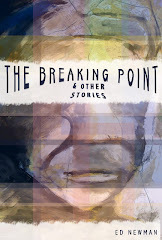 Featured eBook of the Day, The Breaking Point and Other Stories available for Free Friday Download. Poets filled the room, and the night was young. Monday night I attended an open mic event for poets in Downtown Duluth. I was not only impressed at how many there were who gathered but also at the quantity of readers who shared, many for the first time. A special nod to Kathleen Roberts of the PRØVE Collective for the invite. Poetry is one of the great gifts from somewhere beyond ourselves. Even during the Exodus of ancient times, after the Israelites successfully escaped the travesty of being slaughtered at the Red Sea by the pursuing Egyptian armies it’s no surprise that among the first acts of Moses, so moved by this incredible experience, was to record his deep emotions poetically. For some reason, ordinary prose feels inadequate at times. And so it is that humanity marks its moments in time by recording lines that aspire to connect with something internal and meaningful and vast. The open mic poetry reading at Pineapple Arts attracted both local poets and friends of the poetic arts. The evening began with host Kathleen Roberts reading an amusing short short poem by James Tate titled Teaching the Ape to Write Poems. I was impressed by the number of poets who brought material to share, many of them for the first time, all of them impressing me with both the candor and wit their shared lines revealed. The first two, in fact, were first timers. A young man named Chris read a poem called A Rap. Upon completion the respectful and attentive audience endorsed the reader with a mix of applause and snapping of fingers, which I found interesting. These were young people, and like every generation the young have to put their own fingerprints on the traditions they have received. Ben then shared a poem he'd written called Precipice with a lot of nice images and a second, Tomorrow Almost Never Comes. A few of the many who shared were Dorothy, Faith, Jessica, Tommy, River, Ben, myself and Bob Monohan. Themes included a poem written as a result of our lousy spring (Faith), the universe outside and within (Jessica), loss (Kate Monson), echoes (River), the "summer my eyes opened" (River), white privilege (Chris the DJ) and a stereotypical graduation speech (Ben Butter). What I liked was the sense of total acceptance as people shared some very personal things. Bob Monohan stated "poetry is like stripping" before he launched into some humorous but pointed pieces titled, "Look At Me, I've Got a Girl Friend", "101 Love Poems" and "You're Rich." River Maria Urke, who grew up in Duluth, is a serious poet and author who is also a publisher in Stillwater. Urke produces an arts and literary journal aptly called The River, as well as The Book Den (Twowolvz Press). Urke, who is more frail now then when she was young due to MS, described herself as "39, with a cane in one hand, dreaming of a midnight waltz through main street." You can find her handiwork at TheRiverMuse.com. For a nice encapsulation of the event see this overview by David Beard, professor of rhetoric at UMD. Whether your a serious poet or simply a dabbler who occasionally has a desire to share and get feedback, there's a strong supportive community here. By means of sharing we not only learn the value of our own voices, we enrich others. 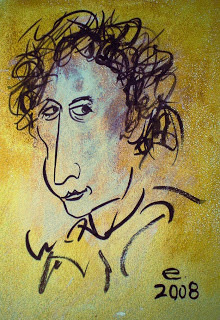 Dylan the Elder Statesman, by ennyman. Last year, every night’s show on Bob Dylan's Never Ending Tour was different. That is, the playlist got shaken up, re-arranged, and if you were going to a show you never knew what he'd be playing next. It kept Dylan feeling fresh and his bandmates on their toes. Same with 2011, 2010 etc. back to the launch in 1988. But in 2013, things changed. If you check out the play lists from his most recent engagements through May of this year, you’ll find the same songs in the same order. In other words, something entirely new, at least for this veteran showman. Each night began with Things Have Changed (a favorite) and concluded with Ballad of a Thin Man (another favorite.) In between there are cuts from his earliest decade (Visions of Johanna, All Along the Watchtower) to the most recent Tempest cuts (Early Roman Kings, Pay In Blood, Scarlet Town). SO, what will it be then when the Dylan Train rolls into Duluth in two weeks? Will his performance tonight in West Palm Beach signal the next leg of his tour? Or will Dylan revert to his former ways and give us an unpredictable future? These are the kinds of questions Dylan fans often ask after having purchased tickets. Some even go so far as to have made a game of it, a Never Ending Pool. The Dylan Pool is comparable to the March Madness office pools co-workers produce each spring, or Fantasy Baseball player selections. I don’t really have a strong need to know but if you are interested in taking a guess, now's the time. Because if the next series of Dylan shows follows the pattern of his spring shows, tonight's set list in West Palm Beach will likely be the one we hear July 9 in Bayfront Park when Dylan brings it all back home. Selecting songs to make an imaginary program is a challenge because it's hard to divorce what you hope to hear from what you really think. Nevertheless, here's my stab at prognostication with regards to tonight's set list. The last two would be during his encore. Honestly, no matter what they play, it's an incredible pool of material this legend has to choose from, and it will all be good. 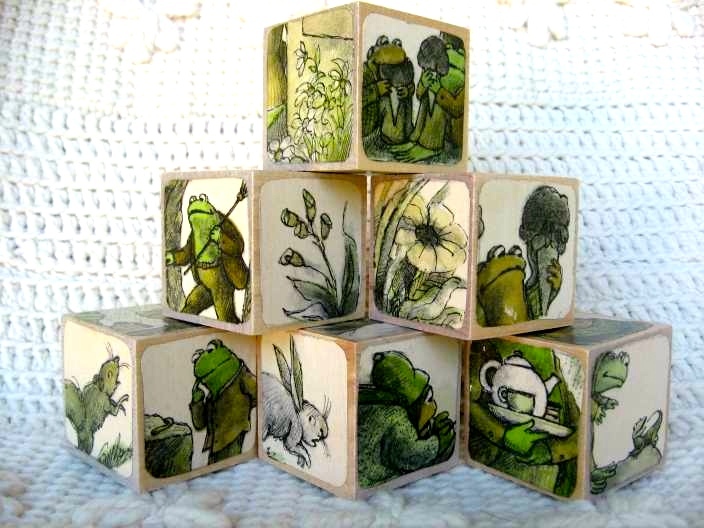 EdNote: Wordless Wednesday will continue next Wednesday, maybe. As I was listening to the radio yesterday it was noted that this week is Arts Week at KUMD. I realized suddenly that it's already the end of June and the Park Point Art Fair is this coming weekend. 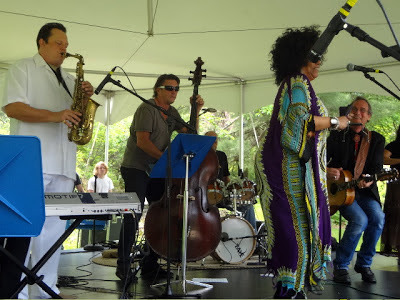 43rd Annual to be precise, June 29 and 30, from 10 a.m. to 5 p.m. It's one of the most beautiful settings imaginable to locate an art fair. It's large enough to display a whole range of artisans and promoted enough to bring a crowd so that the artists don't feel their wasting their time. Yes, there's an economic factor at play and if the economics don't work for both the artists and the promoters, there will be no show next year. There's little danger of this, however, as the event is well established. Last Thursday evening's opening for the Water Works show at the Duluth Art Institute was worth the wait. The event was well attended. So well, in fact, that at one point I couldn't get near the paintings at all in the far gallery. That's O.K. The water-themed art will be on display for the duration of the summer. You can see a few examples from this show displayed here. The works were of every size and variety of media, held together by a single theme, that precious resource, water. Having lived downtown overlooking the lake, it's easy to see why artists, poets, photographers and even engineers are inspired by it. Even though Lake Superior is so massive, no one in this part of the world takes it for granted that it will always be so pure and undefiled. That's why countless hours have been spent trying to understand its ways, including what the threats are to its future. This week an article by Sam Cook in the Duluth News Tribune focused on some of these efforts. A lake is only as clean as the tributaries that run into it. Therefore it is refreshing to notice that people are involved in keeping the rivers clean. The story, Grants will help planning to restore the river, noted that 3.3 million dollars has been released "to help make the river a better place for fish and wildlife as well as for the people who use the river for recreation." The St. Louis River, which forms a natural border between the Twin Ports towns of Duluth and Superior, is also the great lake's largest tributary. Keeping the river clean is an essential condition for keeping the lake clean. The river is one of 38 "areas of concern" as regards pollution of Lake Superior. According to Nelson French, supervisor of the Minnesota Pollution Control Agency, their objective with this grant money is to kick off an effort to remove this river from being an "area of concern." I received a note from Patricia Lenz that Lake Superior Day is just around the corner, so mark your calendars for July 21. There will be a writing contest, poetry, art and more at Barker's Island in Superior. I'll try to wring out details soon and share them here. One of the best parts of all these activities is the price. Free admission for the art fair this weekend, free admission for the Lake Superior Day celebration. And of course, our parks and beaches are always free as well. There's something compelling about water, and we love immersing ourselves in its beauty. They say water and oil don’t mix, but it’s been my observation that water and art certainly do, whatever medium you work in. A scene from the far wall of the gallery. Life is a gift. Drink it. This month Bob Dylan completed 25 years of his Never Ending Tour. On July 9 he will be performing in Duluth for the third time on this 25 year odyssey, and the second outdoors in our beautiful Bayfront Park. In the next couple weeks leading up to the concert I will likely make a few extra posts on Dylan-related themes. Just because. I am currently relishing Lee Marshall’s 2007 Dylan bio titled Bob Dylan: The Never Ending Star. And liking it very much. Lee Marshall's book on Dylan is more than a book about the artist/musician. It is an examination of the meaning of stardom and its impact. Bob Dylan happens to be the organism under the microscope here. Marshall argues that the meaning of a song is not just in the lyrics, that how those lyrics are sung conveys as much if not more than the words alone. In addition, the fact that it is a star, a celebrity performing, has a bearing on the overall impact, significance, meaning. In his intro Marshall outlines a number of premises. 2. Stardom fulfills ideological functions. 3. Stardom fulfills industrial functions. In the light of these propositions Marshall’s book therefore approaches the career of Bob Dylan from an entirely new angle, and as faces shift with the movements of shadows, so this new angle offers new insights into who Bob Dylan really is and what he’s about. Lee Marshall’s introduction to the book asks many good questions. In chapter 1 Marshall devotes himself to demonstrating that how we engage poetry or song lyrics has changed over time and that meanings aren’t always what they appear. Dylan frequently sings from the first person point-of-view, using the word “I” in so many of his songs. But Marshall shows that “I” does not always refer to Dylan when he sings it. 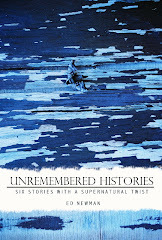 I think here of short stories that are clearly not about the author’s experience. It is a first person narrator, but someone else. And Dylan’s many stories in song are precisely the same. Look at all the variations of House of the Rising Sun, or Man of Constant Sorrow, two famously covered tunes that Dylan has also recorded. I don’t think he’d gone back to New Orleans to live out the rest of his life in the House of the Rising Sun when he sang it. In fact, when recording it on his first album he chose to sing it from a woman’s first person perspective. Goethe wrote that he carried within his breast all kinds of persons, from vagabond to saint, and by tapping into these he could create characters for his stories by becoming them. Method actors like Daniel Day-Lewis do this. So, too, has Dylan, himself a master storyteller. I've always been fascinated with Dylan’s lyrics, the poetry and word play. But I wholly agree with Marshall when he asserts “Dylan songs evoke feeling rather than meaning.” Perhaps this explains why the surreal "Changing of the Guard", which no one can fully unravel intellectually, is fully comprehensible as a heart-to-soul experience, and repeatedly satisfying as a song. I had a friend who said “Dylan can’t sing” which strikes me as the silliest of assertions when you see how he consumes a song into himself and through vocal projection reveals its emotional content. Sure, the voice box has gravel in it, and for some this is off-putting, but you can choose to let it slide. It’s up to you. All this to say that I find Marshall's book compelling. And most likely I will share more from it here. Meantime, life goes on all around you. Don't be a bystander. Embrace it! 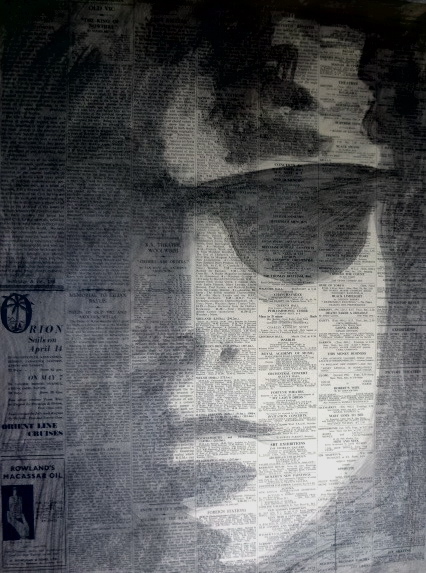 Check out my My Dylan Art Collection on Flickr. When I travel I like to load up my Kindle with the beginnings of lots of books, since it's free to download a portion to whet your appetite. On one recent trip I read the opening chapter of the Ian Fleming series of Bond books, most of which I last read in my mid-teens long ago. Another flight took me through Dave Barry's catalog. On my most recent trip I downloaded the early sections of a multitude of books about Bob Dylan. Dylan Days was approaching, and it seemed a suitable theme. With my bedtime reading is lined up for the summer I began with Greil Marcus' biography of the song Like A Rolling Stone: Bob Dylan at the Crossroads. Despite the negative reviews on Amazon.com, I went ahead because I was curious how anyone could write a whole book about a single song. And perhaps there was a measure of curiosity on my part as regards any backstory and additional meaning that could be gleaned. As I've noted in another place, my first attraction to this song was in junior high school because it was the longest slow song in the playlist, which meant if you like slow dancing you could out there on the dance floor for over six minutes when it played. I don't think I ever heard the words at the time. Most Dylan junkies are already familiar with how Al Kooper became part of the recording session that laid down the tracks for this song. He claims that we was only supposed to watch, but he knew he wanted to be part of it, and found a way. Kooper’s keyboards seem to be a key component in the “sound” on this song which hit the airwaves in 1965, climbing up the charts to number 2. Kooper’s story is in here. The book begins with Marcus setting the context for this song’s emergence. The opening chapter is The Day Kennedy Was Shot, an indicator of the turbulence America would be undergoing as it navigated the Sixties. The second chapter fills in details about the music scene, a “Top Forty Nation” in which pop radio ruled and every musician saw their ultimate value in relation to where their songs appeared on the charts. Numerous musicians were finding their way into the charts by doing covers of Bob Dylan’s songs, most notably the Byrds and Peter, Paul and Mary. There’s a problem, however, with the way Greil Marcus tells the story of the song. I will illustrate it like this. You know how in a really good poem you trust the author’s judgment as regards what to leave in and what to leave out? You make assumptions as you read that the images connect somehow, that if you work at it an understanding will emerge. You trust the author there will be a payoff. Unfortunately, halfway through the book I began to lose my trust. There are anecdotes a-plenty, but most tiresome are the Marcus assertions which one can also begin to question. He writes with authority, has assembled plenty of material that when thrown together has the appearance of a book, but once you lose your way it’s like wading in a swamp. The book seems to have received plenty of accolades from such auspicious sources as the Los Angeles Times, San Francisco Chronicle, The Nation, Variety and the Denver Post (to name a few) but reader comments at Amazon.com are far less effusive. One of these wrote: Writing about music is like dancing about architecture. This was the book that cured me of my belief that you have to finish reading any book you start. You leap at the first chance to escape the drunken bore at a party, right? Putting this book back on the shelf? Same thing. I can't say that this book is uninteresting. I just got tired at the point where it felt like Greil Marcus was that guy at the party you always avoid because he talks just to hear himself talk. You keep hoping it will add up to something and it never does. There's a saying in Hollywood that goes like this: "He was born to play this role." Sometimes it is used flippantly or disingenuously as a means of garnering publicity for a film or show. And it's possibly overstated most of the time, but Greg Kinnear as JFK in the 2011 mini-series The Kennedys is literally uncanny. History is about people, for it is the decisions of people that make the events of history. No person is an island. We all come from somewhere and have been shaped by a context. Certain families have cast such large shadows over our American history that their achievements, exploits and shortcomings have become legendary. Presidents like Lincoln, JFK and FDR almost cease to be human, until a proper treatment takes place in one form or another. Steven Spielberg placed a microscope on a very narrow slice of Lincoln's life to transform the sixteenth president into a human being who struggled with relationship issues, wrestled with all the challenges to his convictions as he fought to be true to his personal vision. This mini-series takes the opposite approach, merging past and present to paint a vivid family portrait. Numerous attempts have been made to tell the John F. Kennedy story. It's a story that is impossible to fully grasp without bringing in the rest of the family beginning with the primal force Joe Kennedy, the politically potent Irish Catholic businesssman and former ambassador who proved to be the driving force behind the Kennedy ascendancy. Tom Wilkinson was the actor tapped for the role of Joe Kennedy, and once again it's a winning performance. Wilkinson first caught my attention in the Clooney film Michael Clayton which I've watched several times. The British character actor appears in numerous other places including Valkyrie, The Conspirator and The Ghost Writer, a personal favorite. He knows how to play the heavy and shows us a very human multi-faceted character driven by power and passions. Barry Pepper's portrayal of Bobby is equally fascinating. We've seen much about the public Bobby but not as much about the development of his personal values. At one point his mother Rose Kennedy explains the difference in her sons. Joe Jr. and Jack were "Joe's boys," whereas Bobby was my son. Then there's Kinnear, who at times leaves you convinced you're seeing footage of the real deal, JFK himself. We've all seen films where actors are chosen to portray famously familiar faces and at certain points we say, "Oh, he looks just like him." But you know it's orchestrated carefully and is not something that holds throughout. Nixon/Frost comes to mind here, a film which is surprisingly good, and the lack of perfect semblance is not a problem. The challenges of this presidency are many, the biggest one being who to trust, who to rely on for good information and wise counsel. Whether it's the Bay of Pigs, Berlin Wall or Cuban Missile Crisis, the Pentagon brass seems to offer a single solution: nuke 'em. It would seem the adage applies, "To a hammer, everything is a nail." With the civil rights movement is simmering, and Viet Nam is deteriorating, where does one go for real wisdom? Everyone seems to have an agenda. The series begins with election night 1960 with background stories shared in a variety of flashbacks. In many stories flashbacks can be overdone, but with this family's stories so familiar it all works fine in my estimation. Backstory gives clarity. On one level Joe got what he wanted, perhaps even more than he ever dreamed. His son became president, another became an attorney general. But then there's the law of unintended consequences at play and we know how badly the story ends for both of these boys, boys who were forced by circumstances to become men first. Then there are the women in these men's lives who suffer so much. Beneficiaries of the clan who must also get more than they bargained for. Rosemarie's episode is unvarnished. Greg Kinnear caught my attention and won my favor when he played the gay artist in As Good As It Gets with Jack Nicholson and Helen Hunt. Kinnear, superb then and with more than a dozen years experience since, stepped into John Kennedy's shoes in a manner that I can't imagine will ever be better emulated. The screenplay pulls no punches. Even the most far-fetched fiction writer couldn't fabricate a story like this. See it if you can. Barbara Reyelts featured prominently in a cast with many familiar faces. Wednesday evening after hours I slid over to the Belknap Lounge to see and hear the new Superior-based theater company Twin Ports Stage in their inaugural live radio soap opera called "Twin Ports," a comedy-drama designed to entertain. 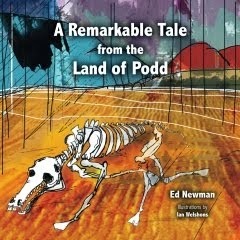 And entertaining it was, even without Garrison Keillor's Fred Newman on sound effects. Here are a few words in retrospect about the experience. First, it wasn't until I was writing this that I realized that the title of the show is probably a take-off on the David Lynch serial drama Twin Peaks. I guess as a reviewer of the Twin Ports arts scene I've come to take the words Twin Ports as a literalist might, and not pregnant with meaning. Alas, pregancies did figure into the evenings experience, but I'll get to that later. I was talking with someone after the show who made an interesting comment. They said the Twin Ports arts and theater scene could be compared to Paris in the Twenties. "Not only is a lot happening, but there is such a pool of talent that it’s like a 'talent co-op' here." Twin Ports Stage is but another configuration of a number familiar faces, still having fun and sharing it in new ways. The basic story (at least in episode one here) was a dramatic presentation of the effects of a major snow storm in a Northland community, with snapshots of people in various situations from bars to a hospital birthing room and everything in between. The thread stitching all the various scenes and stories together was the radio station K-R-A-P (It's KRAP), with Miss Candy Landers (Barbara Reyelts) offering up storm updates held in place by comically rendered radio commercials. The sound effects throughout were indeed fun as the "storm of the century" continued. And the radio spots repeatedly brought involuntary laughter from the packed lounge. One of the scenes took place at a hospital where an anxious doctor (Brian Matuszak) was attempting to deliver an abnormally large baby. After the first head popped out, a second and third followed. To everyone's surprise it was a world first: Siamese triplets. The father cried out, "How can they be Siamese when I'm Swedish?" Ironically Christa Lawler, on hand to cover the show for the News Tribune, is eight pregnant and looking large. That's one thing radio and newspapers have in common. What you read and what you hear reveals nothing about what is. Victoria Main and Lori Kempton were the scriptwriters. Main said her mom was in theater when she was eleven and that she's been in plays all her life. "Twin Ports" is a project of the John D. Munsell Legacy Fund. John Munsell ran the theater department at UWS for thirty years and was a major inspiration for a whole generation of young people in the theater arts. Main called him "a remarkable teacher and an amazing director." One of Munsell's complaints, however, was that all too often actors and actresses and all the others involved are essentially unpaid while giving so much to the communities where they perform. The John D. Munsell Legacy Fund is an attempt to rectify this to some extent. A good sound man is always helpful. The other partner in this project is Wisconsin Public Radio. I'm guessing that if you missed it Wednesday evening it will be re-broadcast sometime soon. Much more could be said about the cast, which consisted of many familiar faces. But if I mention them all I will leave one out and never live it down. Have a great weekend. Don't let the rain dampen your spirits, even it it does dampen Grandma's Marathon tomorrow. Here are a few notes about the three overlapping exhibitions that will be on display this summer. Lee Englund's A Strong Experience of Nature is aptly titled. 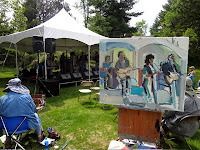 The now-retired art teacher is a leading painter in the "plein air" school. 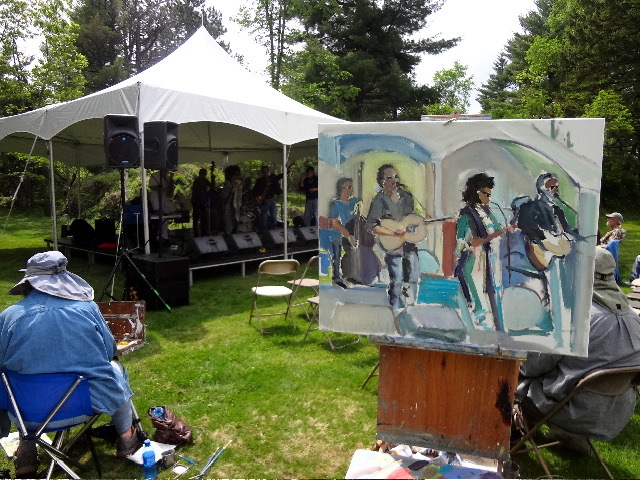 "En plein air" is French for painting in the opening air. Englund describes it as the visual equivalent of jazz improvisation as the artist responds to the stimulation of the scenery which is ever changing. Anways, it's been a pleasure watching Englund work and the title of his show is a thrill in and of itself. The show will run through August 18 if you can't make it tonight. Then there's Jerry Allen Gilmore's Boats Will Float and Bumble Bees Will Sting which will have a shorter run in the Steffl Gallery, from June 6-24. Another fun title. Gilmore states that his work "has always contained an element of water in its narrative." The images here are autobiographical in nature, and what he calls "markings" from his life. Finally, from July 1 thru September 8, there will be Chris Faust's photography exhibit titled Revisiting Twain's Mississippi, a suitable companion for the other exhibits. Many people unfamiliar with North American Geography are not aware that we not only have the world's largest lake, but also the headwaters of one of the great rivers in the world, and our longest in North America. The headwaters of the mighty Mississippi begin here in out North Country. St. Paul native Chris Faust chose to revisit the river that had been documented in such detail in Mark Twain's time by photographer Henry Peter Bosse. Our ongoing fascination with rivers is nothing new. Rivers have been part of human history for ages, serving as transportation routes, power generators, geographic barriers, political boundaries, and more. Rivers have also served as a source of inspiration for poets, writers, artists and philosophers. The flowing river is a theme upon which many minds have meditated. Twain, Hesse, Annie Dillard, Norman Maclean have all recorded reflections on rivers. Hesse’s Siddhartha concludes with a contemplation on the meaning of his life while watching, and listening to, the river. Tonight's art opening(s) will give us a chance to explore our waters, and our selves, in new ways. Yesterday, while looking through some old files on my Mac I came across some quotes and thoughts that pertain to current events and the trade-offs we're making today in the name of National Security. These bits and pieces must have been collected for the purpose of an article or essay I was attempting to assemble at the time. For the Founding Fathers freedom was a preeminent value because they had experienced the heavy weight of tyranny first-hand. 1984 ~ Work our way backward from this: Orwell’s “camera in every house” is definitely something we do not want. Bad. But are surveillance cameras themselves evil? (name deleted) tells of villain caught because of surveillance camera in store. So somewhere in between is OK? Life is not static. Cultures are not either We are moving through time.... across an ocean, from one harbor toward another. This past week when I interviewed artist Robin Maria Pedrero I wanted to comment on something she said that I thought especially noteworthy. This blog post is an attempt to underline it and add some thoughts of my own. 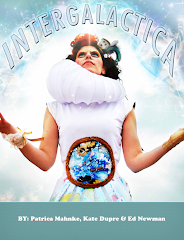 I had asked about her influences and she stated, "I studied both Salvador Dali and Picasso, interested in the expanse of their creativity and skills and their incredible business sense." Abraham Lincoln once said, "If we would first know where we are, and whither we are tending, we could better judge what to do and how to do it." I doubt Lincoln was thinking about artists or writers when he said this, but the advice still holds. Too often we simply blunder forward without a plan. Many people have found early success simply on the sheer force of their personalities. Eventually, without a plan they will come up against a wall or end up in a corner. Lincoln observed that we need to have a clear understanding of where we are first, before we act. A lot of energy is wasted because we do not take the time to figure out what is really happening. By this I mean, what is our situation? Why are we doing what we do? Who are our customers? What is their opinion, if any, of our products and services? In short, if we want to make a living and be artists, writers or musicians, we need to recognize that our "business" exists within a context. In my three decades of experience thinking about marketing related problems -- in business, not as an artist -- a number of observations have impressed themselves upon me so that they have now become personal marketing principles. Among these I include the well-worn maxim, "There are no silver bullets." When you stop and think about it, virtuosity in any endeavor is the result of a hours of practice, preparation and sweat equity. Some people have natural abilities, but unless sharpened and honed the most gifted musician, athlete or sales professional will falter. Applying oneself to think from a marketing point of view is not natural to many of us. It is a skill, however, that we can learn. Unfortunately, most books on marketing are an attempt to chronicle universal truths that apply to all businesses. They do not and can not necessarily address all the particulars of our specific situations, especially for artists. Each of us exists within a different set of circumstances. Thus we must each do our own homework to think through how this principle applies to where we're at individually. Then again, maybe you make art or write or make music for reasons other than money... like, because you love it. I certainly do. And as soon as I think that what I'm doing as a commercial venture it puts me in a very different space, which I'm not sure I really like. It would be nice if we could solve all our problems with a silver bullet. Then again, silver bullets only seem to work in fairy tales. Be sure to say "Happy Father's Day" to dad.... or give him a hug if you can. We really like that kind of stuff. If you got out last night there was plenty to see here in Duluth. I started at Washington Gallery where AJ Atwater's show Manhattan Nightscapes blew my socks off. Atwater, an artist who has been living in Duluth for 26 years, has been taking time each of the past several years to paint in the Big Apple each spring and fall. This show attempts to organize what the city inspires. The pieces were all painted in 2013. It's an impressive collection with titles reflecting the regions of Manhatten that they abstractly represent: Midtown, Lower East Side, East River and East Village. The personable Atwater enjoyed speaking about the pieces and answering questions when asked. From here I slid over to Clyde Iron Works for the Snobarn CD Release party which featured an ecclectic mix of artists and musicians. 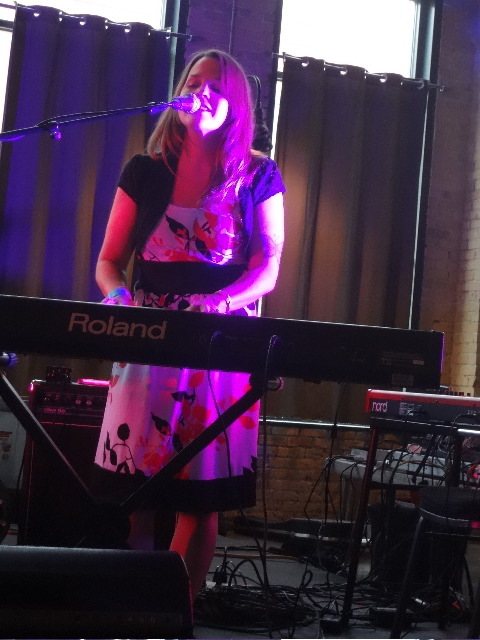 My aim was to catch Mary Bue, who opened to a sketchily thin crowd as it was still early. There were many familiar faces of artists and art scene regulars. Bue gave the crowd some heart and a few times I noticed that everyone stopped whatever they were doing to listen. It's a challenging setting to open but she seemed no notice as her fingers danced across the keyboards, her songs fluid with life. Artists with wares displayed included Teresa Kolar, David Moreira, the SkatRadioh poster boy, as well as Eris Vafias and Patricia Mahnke, the latter two representing Limbo Gallery which is preparing for Artist Kamika V later this year. From here I returned downtown to see the PROVE show titled The Lost, the Discarded and the Beautiful which featured interesting works including this on titled Persisting Thoughts in 6B and 4B by Brent Erickson. Double Dutch had a show again this month featuring photography by Jeremiah Brown. And not to be left out there was a packed Ochre Ghost for its humorous exhibition of portraits with quote bubbles reminiscent of Lichtenstein, only much more interesting. It would appear that Jessica is gone for the time being but the gallery will go on. Back at the Clyde Snobarn performed a stellar set after which Charlie Parr stepped in to close out the night. His rhythms got everyone's feet a-movin', filling the dance floor in front of the stage. Here are some shots from the evening. And if you get a chance, mosey on down to the Oldenburg House in Carlton for Sol Fest. It's shaping up to be a beautiful day.